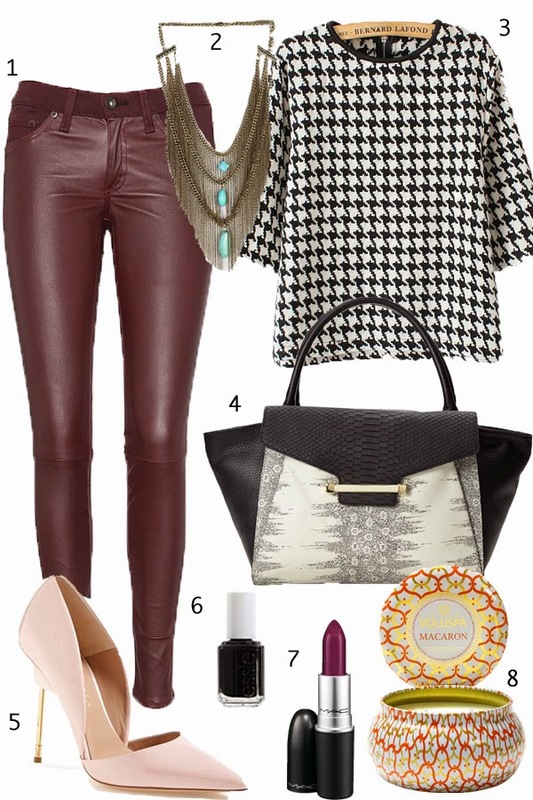 a little bit of a random assortment today but i am loving this houndstooth top with the oxblood jeans (which are on sale!) and these kurt geiger heels are to. die. for! Great picks! Love those heels!